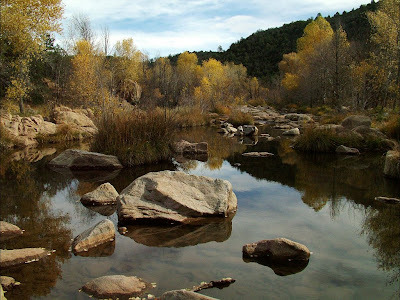 Yesterday, we drove thru parts of the Prescott (prounced Preskit by the locals) National Forest in the jeep. Wow, 3.5 hours of bumpy forest service twisties, 5mph max, and thinking the trail would never end. Phew, thankfully, we had our GPS, and could follow our travels, and not take too many wrong turns! 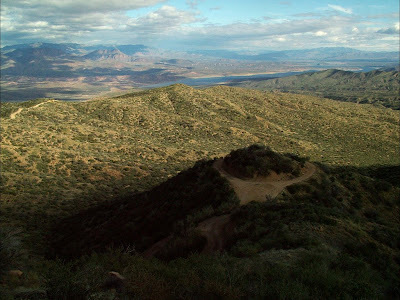 If you're over by Globe, the Superstition Wilderness and the Four Peaks Recreation Area are also prime 4-wheeling areas. 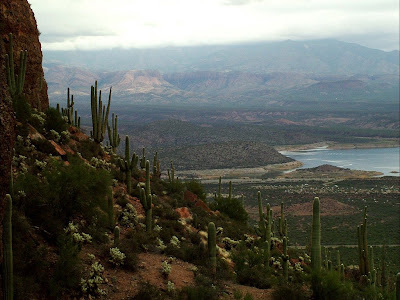 I beat the snot out of a Hyundai Santa Fe several years ago, drove all over Four Peaks area. The best access into Four Peaks is to take the Beeline Highway (87) north out of Tempe/Phoenix, and to turn east off the highway onto Forest Svc Road 626, which is just north of Sunflower. From there, there are miles of very passable dirt trails, as well as extremely challenging 4WD-only routes throughout the wilderness area. 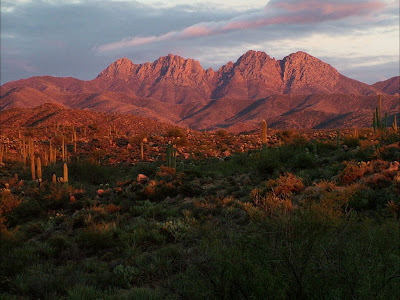 The entire area is part of the Tonto National Forest, and is one of the best examples of Sonoran desert anywhere in the US, with spectacular views of the Four Peaks and The Weaver's Needle. 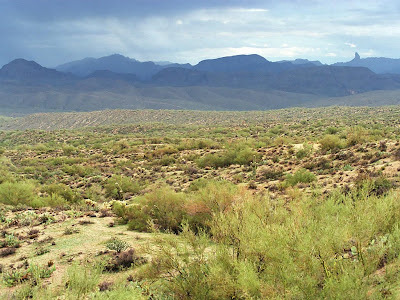 Further south toward the Superstition Wilderness, you can pick up the Apache Trail ( 88 ) right out of Apache Junction AZ. 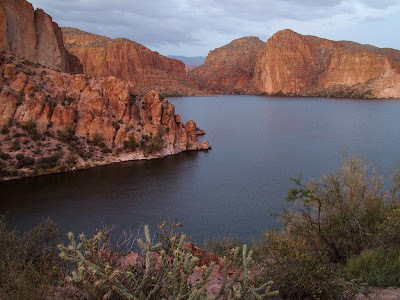 This road will take you directly past Lost Dutchman State Park, a ghost town, and if you follow it all the way, clear across the Superstition Wilderness to Roosevelt Dam and Tonto National Monument. At TNM, you can easily hike to some of the best preserved cliff dwellings in all of the southwest. From there I recommend heading north up 188 through Punkin Center and Payson. If you make it up there, it's worth a visit to Tonto Natural Bridge State Park, which is believed to be the largest travertine natural bridge in the world. 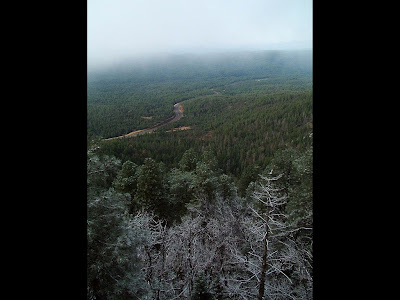 I stayed at a cool little motel in Strawberry, and then drove across up to the crest of the Mogollon Rim, following the Rim Road east for many miles where it intersects with 260, and then back to Payson. On the way back from Payson, I stopped off at some ancient ruins along the hilltops on the east side of 188 between Payson & Punkin Center. There are no signs, but if you get one of the good Delorme county-by-county maps, the whole area is peppered with ancient sites which are marked on the map...with a little adventurousness and a 4WD, they're fairly easy to find. There are also some 19th century forts in the area (or what's left of them), but I was less interested in those than the petroglyphs and other indigenous ruins. 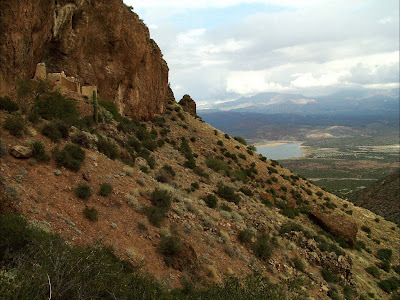 To get back to Phoenix, I took El Oso Road (Forest Svc Road 143, about 8 miles south of Punkin Center) from 188 directly across the spine of the Four Peaks range back to the Beeline Hwy (87) to get back into Phoenix. This dirt track can be done by a 2WD vehicle, but it would be harrowing to say the least...your Jeep will be lots of fun, and it is absolutely awesome, both in terms of the driving and the views! 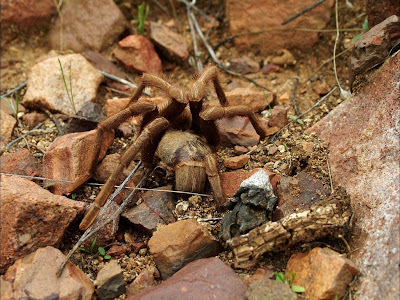 It really gets you out into the wilderness and lets you experience it up close and personal.